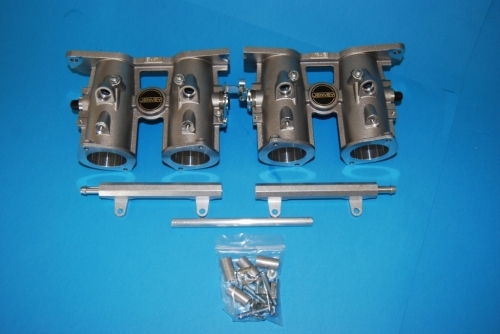 The Rover K series direct to head body pair mounts directly to the VVC/VHPD cylinder head. 45mm bore. The bodies come with interconnecting linkage and TBR22 Fuel rail and fittings.